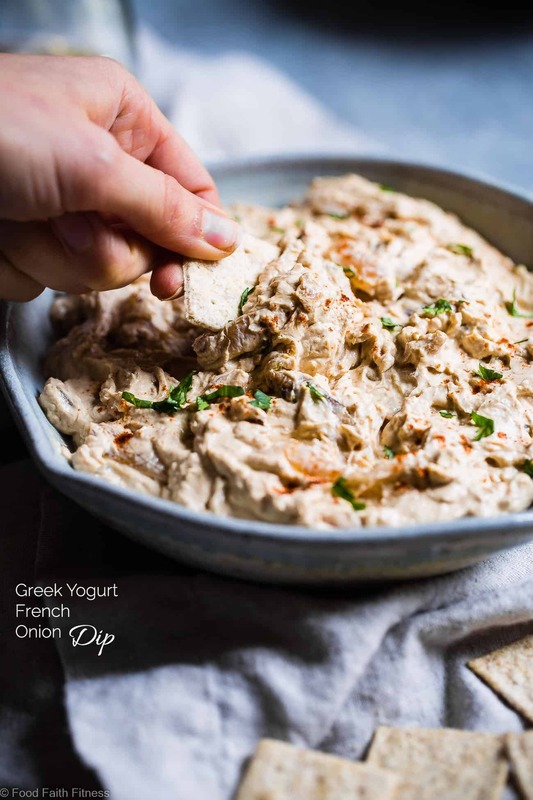 This quick and easy Greek yogurt French onion dip is a healthy, low carb, gluten free and protein packed appetizer that is perfect for parties! Only 110 calories and so creamy! It’s not actually party time right THIS VERY SECOND of life on this side of internet land. Sorry to get you really excited as the thought of happening upon a virtual party, complete with gluten free cupcakes or funfetti protein cookies, started dancing around your brain. Post-Thanksgiving parties <–Not a real thing, but I feel like we should all celebrate the fact that we lived through turkey day WITHOUT exploding from ALL THE gluten free stuffing and scalloped sweet potatoes, right? Any reason to party, I SAY. NEW YEARS EVE. *SPARKLY* <–Not really sure what that means, but it felt like the right thing to write. 3 reasons to party. 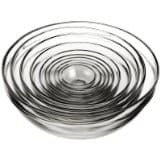 3 reasons to eat appetizer PARTY FOOD. Because I would never give you a French onion dip recipe, or any recipe for that matter, that was NOT going to tingle your taste buds from your tongue to your tippy toes. 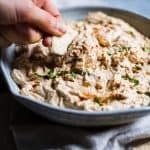 This homemade French onion dip uses GREEK yogurt to PACK it with protein, and deliver a 1-2 punch of creamy-tanginess that complements the sticky-sweet caramelized onions and smoky paprika in the most CRAVEABLY ADDICTING ways. Lemme just break it down. Caramelize onions. 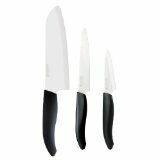 The key to PERFECTLY caramelized onions – with no burny-nasty-yucky-bits is to cut your onions ALL the same thickness (IE. REALLY thin, with no awkward thick ones hanging out.) You also need to keep a close eye on them to make sure that you are adjusting the heat, turning it down as they begin to brown. ALSO, using your VRY VRY smart person brain and knowing JUST went to stir them. Stir them too soon? NO GOLDEN-BROWN ONIONS FOR YOU! Leave them too long? BURNT! BITTER! BAD! Onions for you. 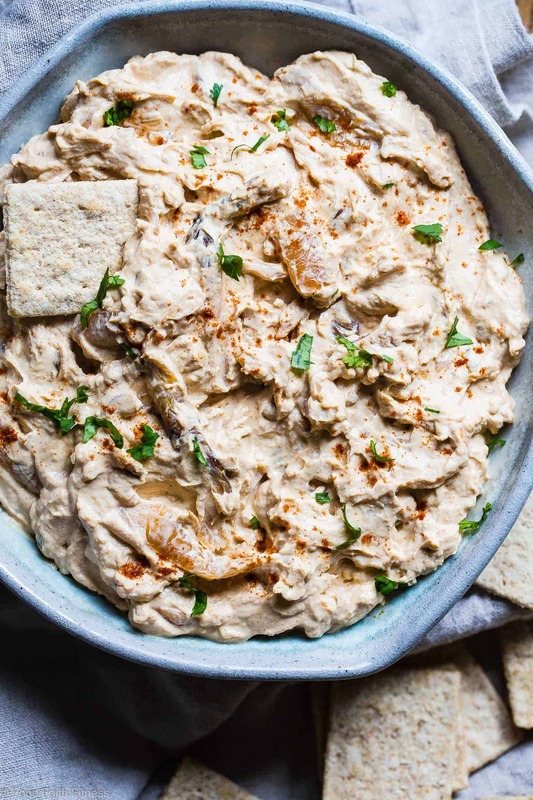 Once onions are tender, golden-brown and you basically just want to eat them by themselves (RESIST) mix them up with some garlic and thick, creamy and HEALTHY Greek yogurt, cream cheese and a sprinkle of smoky paprika for a little flavor PUNCH. Told ya it was an easy French onion dip. Also. Apparently, I really like numbered lists today? In other much-more-important-to-note news: do not skip the cream cheese in this recipe and try to add MORE health by using MORE Greek yogurt. You will be sad. 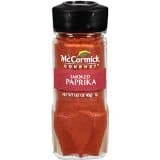 The dip will be just that little bit TOO tangy and not as thick and lack the utterly-dippable-food-bliss qualities that it currently has. 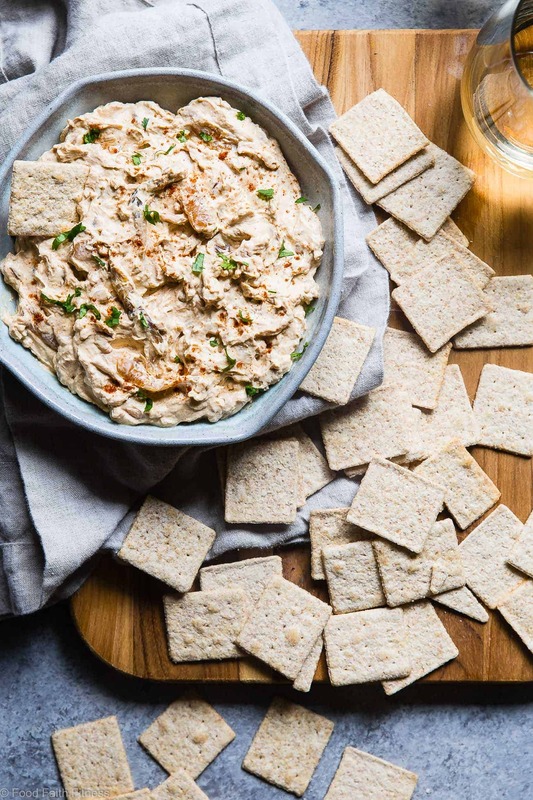 The little cream cheese addition blends allll the flavors together, balances out the Greek yogurt tang, and makes your dip-munching-mouth wanna keep going back for MORE. Which is HIGHLY encouraged on the count of it’s a protein-packed app that does your body/muscles GOOD. Good tasting. Good 4 U. Everyone’s A WINNER. 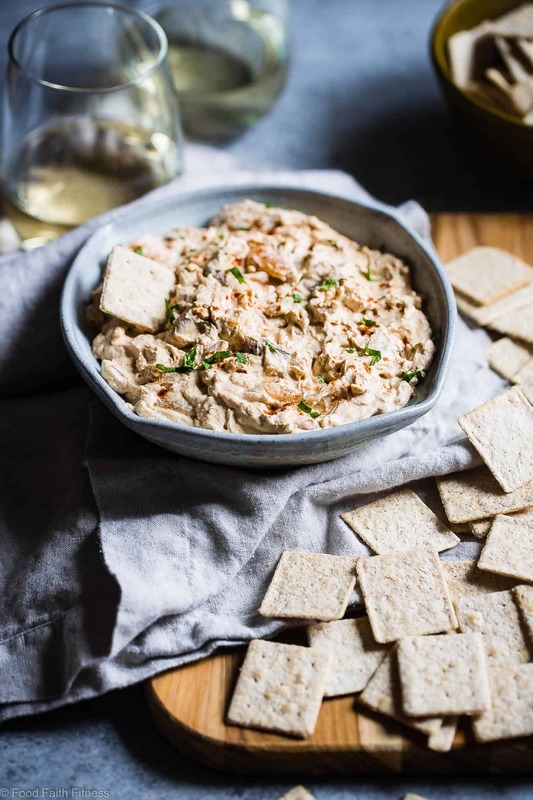 This quick and easy Greek yogurt French onion dip is a healthy, low carb, gluten free and protein packed appetizer that is perfect for parties! 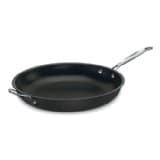 Heat the olive oil up in a large, good-quality non stick pan on medium heat. Add in the sliced onion and cook to coat in the oil. Cook until the onions are soft and deep golden brown, stirring occasionally, about 25 minutes. The trick is to let them sit long enough to brown, but not too long so that they burn. You may need to reduce the heat as they cook. Place the onions into a large bowl and roughly chop them. * Add in the remaining ingredients and stir until well combined. Season to taste with salt and pepper. ** Dip will also be good 2-3 days covered in the fridge. I would recommend letting it come to room temperature before serving though, to soften the cream cheese. Absolutely delectable! I am a total freak about plain yogurt and always looking for recipes to incorporate yogurt in. This one is a keeper! Love your creativity. Thank you! You would love this then! Same! Food and friends is the BEST!! Thanks girl! I swear my hubby eats his bodyweight in French Onion dip every time we go over to my parents house! This would be the perfect alternative to bring next time we go over! Hahah!! Men and their dip! Hope he loves this one!